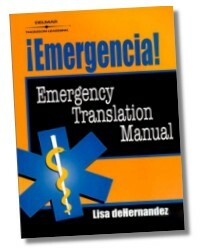 Need to know how to communicate in Spanish during emergency situations despite knowing only English? EMERGENCIA! 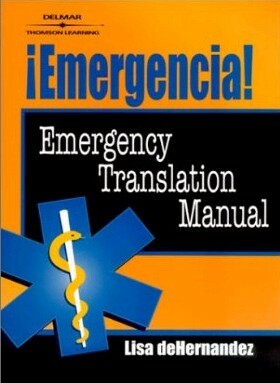 Emergency Translation Manual is a language reference for English speaking medical caregivers who need to communicate effectively with Spanish speakers in emergency situations. Translations of a wide array of medical emergencies include phonetic pronunciations of words and phrases and relevant questions that require only "yes" or "no" answers. Diagrams of the human body labeled in Spanish and pages of commonly used words and phrases further facilitate communication and ultimately quicken response time. Commonly Used Words & Phrases. 96 Pages - Pocket Guide, 4-1/4 x 5-1/2 in.